A furious mum was goaded by a gang of brazen robbers – moments after they snatched her son’s clothes and mobile phone. Schoolboy Ben Earles, who is just 14, was mugged of his belongings as he walked down Monkspath Hall Road in Solihull. Terrified and fearing he would be stabbed, the teen was then forced to hand over his possessions. The gang robbed his hoody, plucked his Armani cap from his head and yanked the gold chain from his neck. His mobile phone was also taken from him. One of the men callously donned his hoody in front of his victim. The four men raced back to the getaway car where the driver was waiting. The five men, who are believed to be Asian, sped away towards Solihull. 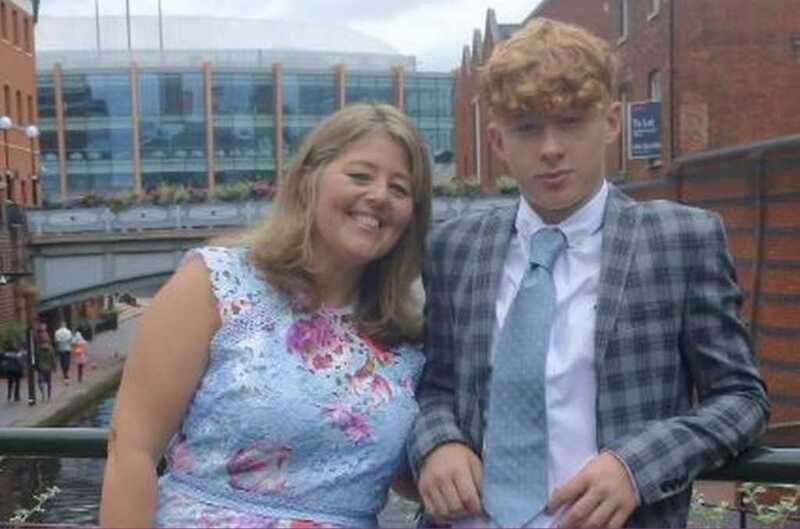 Shaken Ben ran home to his devastated mum, Stephanie Earles, who bravely rang his stolen phone. To her surprise, the gang answered the mobile – just to boast how they had just mugged her youngest child. The mum-of-three told BirminghamLive: “When I called, they answered just to inform me, they said: ‘We have just robbed your f****** son’ and then hung up. “I felt very angry and as a community we feel under siege in our area. “People do not feel safe. I feel really anxious now for our children to go anywhere. “This attack was on a main road under a lamp-post. She added that Ben had managed to swipe one of the offenders jumpers – after he removed it to wear her son’s hoody instead. He ran home with it and it has since been seized by police as evidence, Stephanie says. Her son said one attacker had curly black hair and another slick black hair and was around 5ft 10. West Midlands Police confirmed they are investigating the robbery and appealed for anyone with information to come forward. A full statement from the force read: “Police are investigating a robbery in Monkspath Hall Road in the Shirley area of Solihull on Friday 26 October. “It is believed a 14-year-old boy was approached by five men who stopped their car on the road just after 8pm and demanded his belongings. “They made off with his phone, jewellery and some of his clothing. “Enquiries continue and anyone with information is asked to contact police via Live Chat at west-midlands.police.uk between 8am – midnight, or to call 101 anytime.